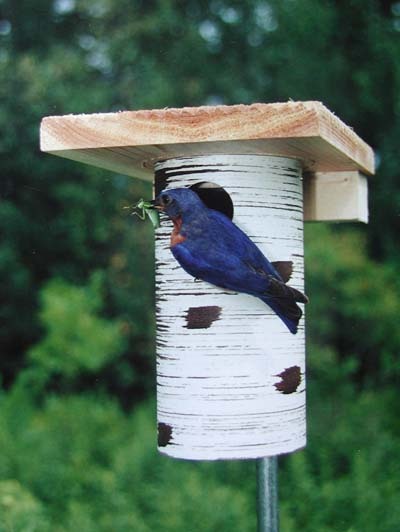 This attractive birch-look PVC nest box is also predator resistant and lightweight. Removable body allows monitoring and maintenance. Just squeeze the top opposite pins! Well-designed, with a premium cedar roof and recessed floor, the Gilbertson Bluebird nest box resists moisture, and meets all our specs for proper ventilation and drainage. And best of all, it’s ready-to-mount with our special pre-cut pole.